Andrew Gaggin is a dedicated professional with history of success providing solutions and representing clients in a wide array of civil litigation at state and federal levels including commercial litigation, insurance defense litigation, employment litigation, and labor relations. Mr. Gaggin also has experience with transactional analysis, mergers and acquisitions, and compliance matters. 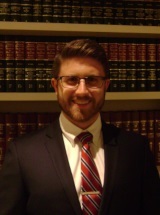 Before joining Wilenchik & Bartness, Mr. Gaggin was a Senior Associate at one of the largest firms in Michigan. He has also previously worked in-house with a national mergers & acquisition practice, a $16 Billion retailer with over 75,000 employees, and a major university Athletic Department. Mr. Gaggin received his J.D. from Washington University in St. Louis, where he was an executive editor of the Washington University Jurisprudence Review. He also holds an M.B.A. from the Olin Business School at Washington University and a B.A. from the University of Michigan. Mr. Gaggin has provided zealous representation to both plaintiffs and defendants in a variety of civil disputes. He has experience developing strategies, counseling clients, and litigating disputes involving employment issues, regulatory legal problems, catastrophic auto negligence lawsuits, complex insurance coverage disputes, subrogation and indemnification issues, and fraudulent insurance claims. Mr. Gaggin is also experienced with collective bargaining, defending employers against union grievances, and resolving contract disputes. Mr. Gaggin is also active in the community, and is a long-time ice hockey referee for youth, collegiate, and minor-professional levels.